One can rest assured that whenever Rob McConnell enters a recording studio he’ll be accompanied by a group of the finest jazz musicians Canada has to offer — and that the charts he brings with him will flash and gleam like the Aurora Borealis. 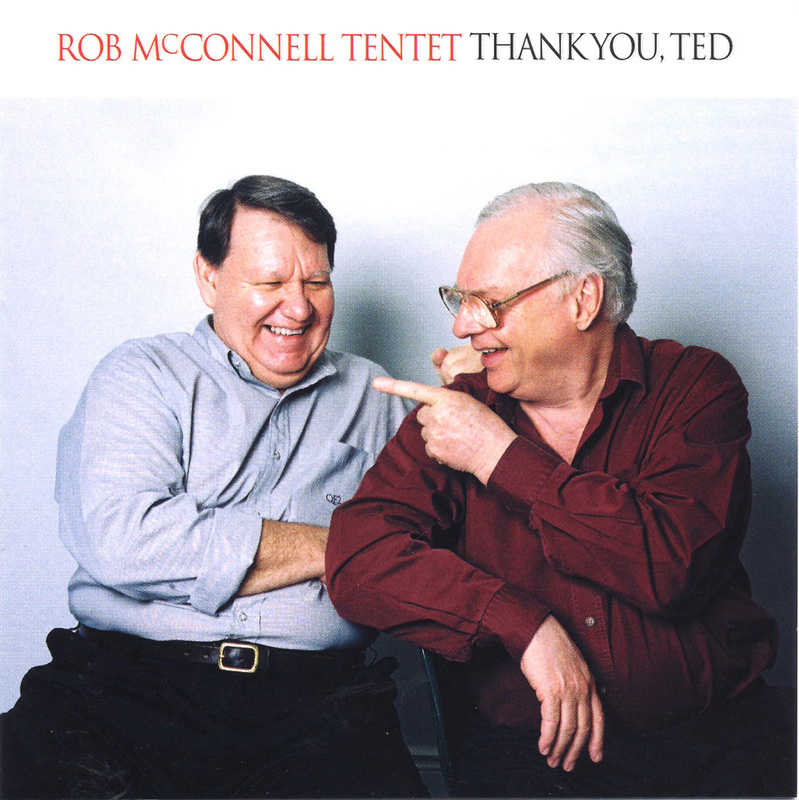 No exception here, as Rob and his Tentet pay their warm respects to Ted O’Reilly, the amiable host of Toronto’s premier Jazz radio program, “The Jazz Scene,” for twenty-seven years before his retirement last April. Having written and recorded (with the Boss Brass) two of O’Reilly’s theme songs, “T.O.” and “T.O.2,” McConnell the composer takes a holiday here, choosing instead to adapt seven pages from the Great American Songbook to complement Horace Silver’s “The Outlaw” and Vic Dickenson’s “Constantly.” But all the arrangements are his, and as usual, each one is a paragon of graceful lyicism and dynamic group interplay. The Tentet, a pared-down version of the Boss Brass, is so good it makes it harder for one to mourn the loss of the larger ensemble. Of course, most of these gentlemen played with the Brass before McConnell was forced to disband the orchestra, so what we have is a sort of “Boss Brass Lite,” which may have less calories but is every ounce as satisfying as its meatier cousin. The rhythm section, of course, is an indispensable ingredient in any successful recipe, and the Tentet is well-seasoned by the superlative trio of pianist Dave Restivo, bassist Steve Wallace and drummer Terry Clarke, whose zesty cooking gives the ensemble a broad comfort zone in which to collaborate and improvise.